The Journal of American Hoodoo exists to identify and explore the different approaches to causality and the unseen world in which we all have been immersed since birth — that portion which remains outside the circle of firelight cast by scientific analysis and accepted facts. We do not either advocate or denigrate any religion or system of metaphysics or philosophy, applied or theoretical. The pieces posted here make no claim of truth or actuality. We simply seek to offer perspectives through which to see the unseeable, using whatever tools we have at hand. We resort to fiction, poetry, art, media, discussion, and nonfiction essay — whatever it takes to paint a picture of the experimental viewpoint of the authors for the duration of your visit. We welcome your original contributions. The goal will be to have a pool of funds from which to pay honoraria for contributors for acceptable contributions. When they have been established, submission guidelines will be posted. A production of SRF Heavy Industries. Except as noted, all material on this site is ©2012 SRF Heavy Industries ALL RIGHTS RESERVED. 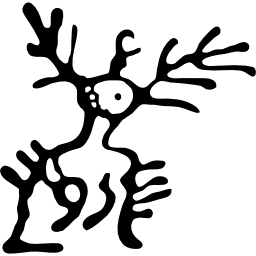 The Manitou Petroglyph logo is a trademark of the Journal of American Hoodoo.